It’s Tea Time Tuesdays once again and today I will be reviewing MineShine Premium Milk Tea Drink and Kaisi Selection Premium Version of Assam Milk Tea. I bought these two bottled milk teas in 7-Eleven. 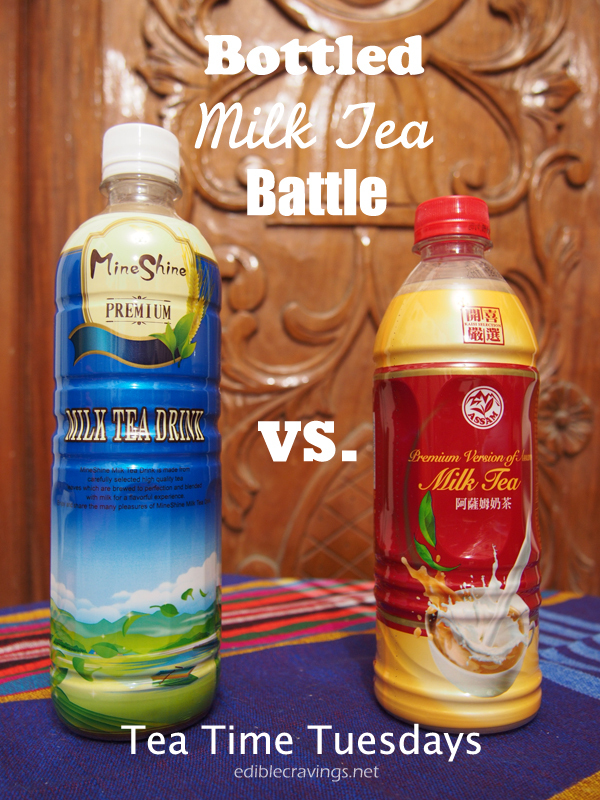 I wanted to find out if there are decent bottled milk tea out in the market so read on which bottled milk tea I liked better. As I mentioned, both MineShine and Kaisi Selection are available in 7-Eleven. 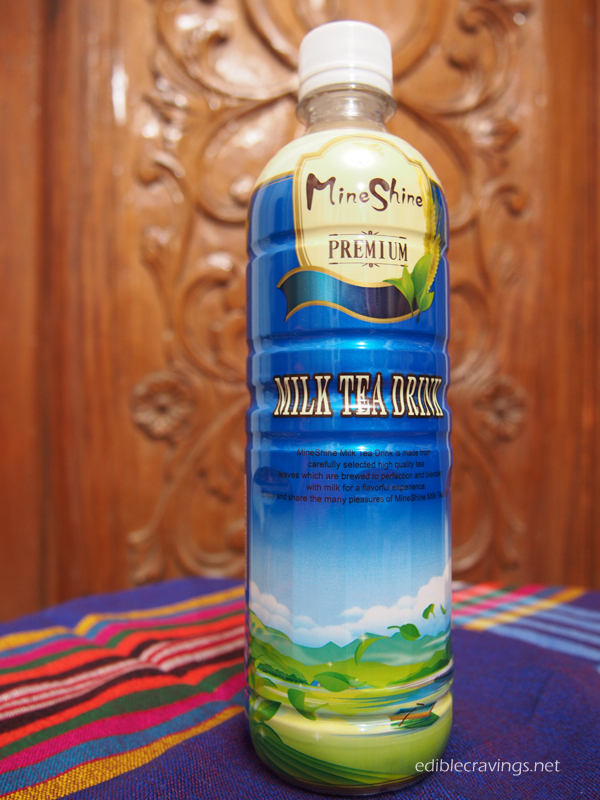 MineShine Premium Milk Tea Drink is priced at P42 for a 600ml bottle. Kaisi Selection Premium Version of Assam Milk Tea on the other hand is priced at P45 for a 500ml bottle. MineShine is cheaper but is saving P3 a good idea? MineShine: water, sugar, milk powder, black tea leave extract, natural flavor, emulsifier, barley extract. Kaisi Selection: water, sugar, creamer, skim milk powder, black tea, emulsifying agent, maltodextrin, carrageenan, sodium carboxymethyl, cellulose, sodium bicarbonate, caramel, sodium citrate, flavor. Clearly Kaisi Selection has more ingredients some of which I can’t even pronounce. 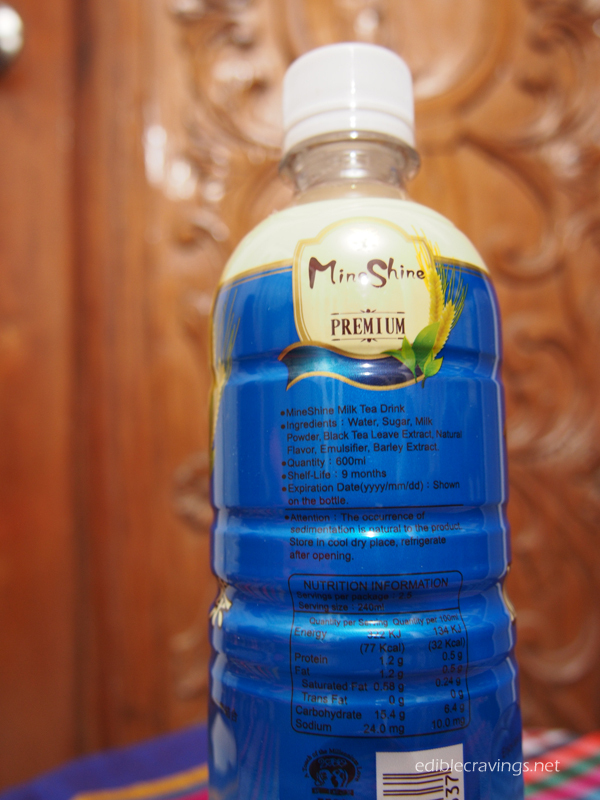 MineShine has lesser ingredients but its ingredients are more natural compared to Kaisi Selection. Kaisi Selection was the first milk tea that I opened so it was the first milk tea that I had smelled and tasted. Kaisi Selection has a flowery, milky, sweet aroma. I found this milk tea to be very fragrant due to the Assam tea. When I opened MineShine milk tea and had a whiff of it, it also has the same aroma as Kaisi Selection. MineShine also has a flowery sweet aroma but its aroma is milder. Kaisi Selection is more fragrant. As for the taste, Kaisi Selection is very creamy and milky. I could taste the Assam tea but it’s not as strong as I wanted it to be. I could taste a hint of caramel in this milk tea as well. 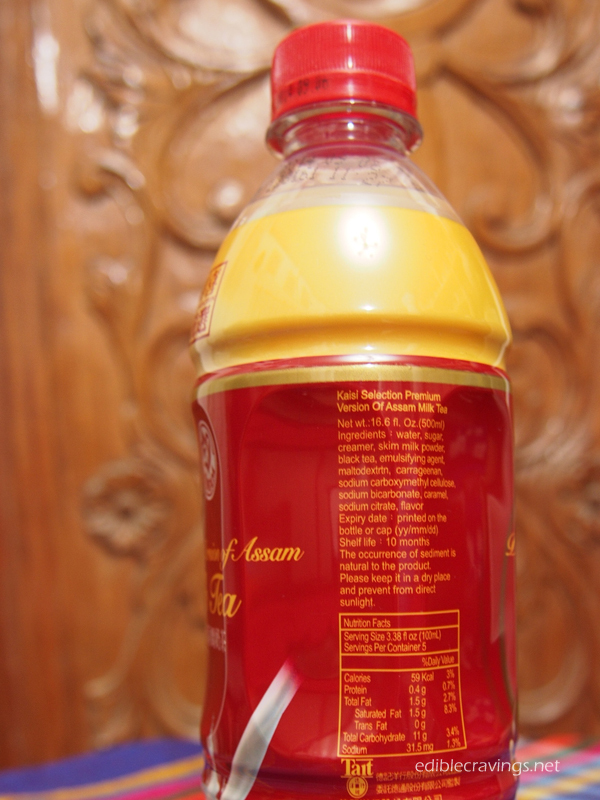 I like that this milk tea is not as sweet as Taste Nirvana Thai Tea, read review here. MineShine on the other hand tastes a little bit like Kaisi Selection but I find that MineShine is a toned down version of Kaisi Selection. I find that it’s almost tasteless when compared to Kaisi Selection milk tea. Kaisi Selection is my bottled milk tea of choice. 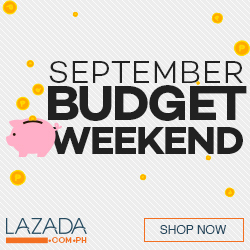 I like that for only P45, I could have my milk tea fix already. Only downside is it doesn’t have pearls or crystals. Have you tried both milk teas? 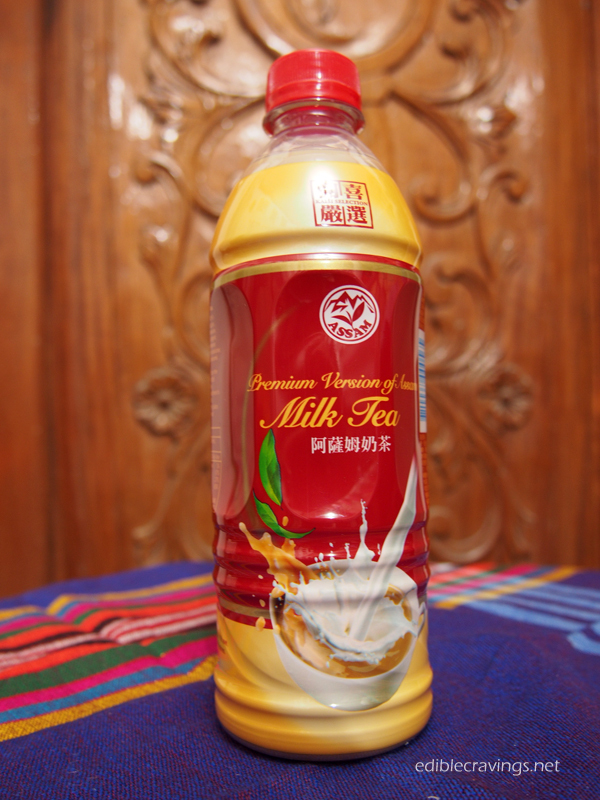 Do comment below if you have other bottled/packed milk tea suggestions. Somebody just recommended that to me on Facebook. I’ve seen the brand when I googled “7-Eleven milk tea” but I haven’t seen it in the branch that I frequent. My husband likes this Kaisi bottled milk tea. I haven’t tried MineShine yet though..
schlurp milktea are brewed real loose tea leves from the himlayas. no instant powder, extracts & what not plus they do have chewy jellies that are made from sea weeds so they are much healthier choice. the fact that they are barely sweetened, makes them even superior quality than any of the milktea beverages in the market. It’s an artisan milktea really compared to mass produced brands like mineshine ,etc. schlurp are brewed in small batches to keep the flavor and nutrients in. Thanks Sebastian for the very informative description of schlurp milktea. I’m still looking for it in supermarkets and convenience stores. I’d love to try it so I could review it as well. that others are boiled tea bags then they over compensate with sweeteners, sugar, high fructose syrup. I’m a schlurp addict 🙂 they didn’t just mix it up, their brewed tea dominates and the creamer & sweeteners complements it. for me it’s real brewed loose tea leaves or nothing plus right amount of creamer & natural sweetener, I get my moneys worth. I still haven’t tried schlurp. Now I’m even more curious to try it. I do like the ingredients in mine shine. Though I really wish they’d make their tea stronger. I love mineshine. My day is not complete without it. How about 711’s Schlurp? They have Earl Grey, Assam etc and is priced a bit more expensive. Finally! A battle between my two boys. Nah, kidding aside, I prefer Kaisi as well. It’s disappointing that these products aren’t available in EVERY 7-Eleven branch that’s why I always put extra effort in making sure my way to work would include passing by a 7-Eleven branch that has these. This is definitely better than your average milk tea. It’s cheaper and the sugar level really hits the spot! I really Love Caramel flavor assam milk tea! You prefer kaisi due to its overly sweetness with additives that smell like milktea. Yeah chug it down everyday and respond me back how much weight you gain. I prefer the mineshine as its few ingredients and short expiry date. You prefer kaisi since its overdone with sugar/sweetness. Why dont u try c2.